Smart Psoriasis Diet - Control Your Skin In 60 Days! Are you frustrated when you cannot wear t-shirts and shorts in the Summer time? I know, I've been there, but thankfully I discovered a simple step by step drug-free solution which gave me my confidence back! 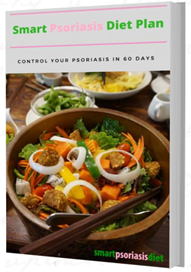 Download my free Smart Psoriasis Diet eBook which explains exactly how I control my psoriasis through diet, supplements and simple lifestyle changes. "Understanding the Smart Psoriasis Diet 3 focus areas is the key to beating psoriasis"